The University of Tampa’s top-ranked graduate programs are recognized for their academic rigor, alumni outcomes, and superior faculty. The University of Tampa’s Sykes College of Business is accredited at both the graduate and undergraduate levels by AACSB International, placing it among the top 6% of business schools worldwide. UT’s innovative degrees encompass the latest tools and techniques, equipping students with the advanced problem-solving and analytical skills needed to excel in an increasingly competitive global market. A private university located on a scenic riverfront campus in downtown Tampa, UT serves approximately 9,200 students from all 50 states and 132 countries. With a median class size of 21, UT promotes close interaction between students and faculty, 90% of whom have a PhD. In the last 15 years, The Universityof Tampa has invested $575 millionin new construction, facilities, and technology. It offers new business-technology classrooms, science labs, Nursing and Physician Assistant Medicine labs, and a human performance lab as well as a state-of-the-art student center, pool, track, and fitness facility. The University’s historic connections to Tampa Bay–area businesses, sports teams, hospitals, school districts, nonprofit organizations, and cultural institutions provide valuable real-world learning experiences for students through internships, research, and travel. Whether you are just starting your career or are an experienced professional ready for advancement, UT’s diverse academic offerings will equip you with the knowledge and credentials to succeed. The University of Tampa’s Sykes College of Business has been named one of the best Business schools in the world since 2007 by The Princeton Review, top ranked in U.S. News & World Report’s “Best Graduate Schools,” and listed as a “best value” Executive MBA program by Fortune magazine. In addition, The Princeton Review’s “Student Opinion Honors for Business Schools” named UT’s MBA Marketing program one of the top 15, alongside programs at Duke, Harvard, and the HEC School of Management in Paris. UT’s uniquely designed curriculum promotes business fundamentals with the understanding that innovation and technology are essential for success. The Sykes College of Business offers an MBA program with nine concentration options (Business Analytics, Cybersecurity, Entrepreneurship, Finance, Information Systems Management, Innovation Management, International Business, Marketing, and Nonprofit Management); Professional and Executive MBA programs; five MS degrees; and certificates in Cybersecurity and Nonprofit Management. Highly qualified students of diverse ages and backgrounds receive advanced training from talented faculty members with a pulse on the business community. Ninety-seven percent of Business faculty hold a PhD, and 80% have practical business experience. They invite students to assist in their research and are regularly published in academic and industry journals. One of the most established and exclusive in Florida, UT’s MBA program helps each student develop the sophisticated, strategic mindset of a successful business executive. Extensive hands-on learning is provided through internships and real-world client projects, including case studies, consulting, strategic planning, and data collection and analysis. International travel courses to countries such as China, Argentina, Chili, and India help UT’s Business students incorporate a global view into their studies. • Full time: Accelerated course work leads to a degree in as few as 12 months. • Part time: Ideal for students who work full time and want to take classes at their own pace, earning a degree in approximately two years. • Professional: A part-time evening program for professionals with at least five years of work experience. • Executive: In a format designed for experienced business professionals, classes are offered every other Saturday. Earn your degree in two years. MBA students may elect to participate in the University’s coaching program, which pairs them with Tampa Bay business executives from a variety of industries. Coaches meet with students regularly to work on strategies such as interview techniques, career changes, negotiation, and networking. More than 800 community and business leaders are involved with UT, providing students with invaluable professional connections. Career fairs are also held regularly on campus, attracting hundreds of companies recruiting for jobs and internships. UT’s dynamic MS in Accounting program combines the benefits of a structured technical program with unique opportunities for in-depth examination and real-world applications. Thecurriculum is designed to offer students depth and flexibility in career preparation, including courses in financial and managerial accounting, taxation, auditing, and accounting information systems. Electives are offered in nonprofit or governmental accounting, advanced financial accounting, international accounting, and federal tax accounting. Classroom studies closely mirror the subjects and material on the Certified Public Accountant (CPA) exam. Graduates consistently earn high scores on the exam, which is a testament to both the caliber of students and the dedication of professors at UT’s Sykes College of Business. An applied degree with a business focus, UT’s MS in Cybersecurity covers topics in cybersecurity, project management, business analytics, enterprise systems, and SAP certification. Students are prepared for work in fields such as cybersecurity, IT, security analytics, security consulting, cyber forensics, and more. The degree is also ideal for those wishing to advance in law enforcement, criminology, forensics, law, and government. Thesis and non-thesis tracks are offered along with a graduate certificate in Cybersecurity. Offered by UT’s nationally acclaimed Lowth Entrepreneurship Center, the MS in Entrepreneurship builds the critical business and entrepreneurial skills needed to develop and launch new enterprises. The program also appeals to professionals who wish to incorporate innovation and vision into existing companies or engage in social entrepreneurship. With an emphasis on experiential learning, the curriculum allows students to focus on their own projects or team with early-stage companies in UT’s incubator and accelerator programs. Students create lasting connections with fellow entrepreneurs, investors, and advisors as they hone their business plans and investor presentation skills. UT’s MS in Finance program gives students the training needed to excel in the ever-changing global financial industry. The complex nature of today’s world of investment and finance requires professionals equipped with advanced quantitative, analytical, and decision-making skills to manage change and create value. The curriculum focuses on practical financial management and modern valuation, qualifying students for careers in areas such as banking, brokerage, individual and institutional investments, insurance, portfolio management, and financial analysis and planning. Students may also take electives in special topics of interest such as venture capital and alternative investments, commercial real estate valuation, accounting and value creation, advanced investments, and portfolio management and advanced corporate finance. Allcourses are geared toward helping students advance in their finance careers and prepare for the Chartered Financial Analyst (CFA) CandidateBody of Knowledge (CBOK) Levels I, II, and III. UT’s MS in Marketing program is designed for students pursuing careers in marketing or professionals seeking development in specific areas of marketing. Students learn the global nature of business from a marketer’s perspective, shaped by a combination of classroom and real-world experiences. The program’s comprehensive curriculum sharpens skills in marketing management, brandand product strategy, marketing research, and sales management. UT also offers applied experiential marketing classes in specialty areas suchas research methods, integrated marketing communication, global marketing, and e-commerce. Multiple hands-on, company-sponsored projects throughout the program offer students unique exposure to case study development, data collection and analysis, consulting, and strategic marketing plans. Students are involved in making decisions about product development, pricing, promotion, marketing research, sales compensation, cost containment, and production scheduling—experiences that serve them well in their marketing careers. This innovative program is taught by PhD-level faculty in cooperation with leading nonprofit practitioners. The curriculum focuses on effective board governance, strategic planning, understanding and creating budgets, marketing, fund development, conducting feasibility studies, and tapping leadership potential. The courses are cohort-based, one-week seminars representing 12 credithours of graduate instruction. Students can participate in the program while on a certificate track, or they can apply to the MBA program. Scholarships are available. UT’s 27-month Physician Assistant Medicine program is designed to prepare graduates to provide medical care as part of an intercollaborative, physician-led team. The curriculum consists of four semesters of classroom training followed by three semesters of clinical rotations, providing hands-on training in family, internal, emergency, women’s, pediatric, surgical, and mental/behavioral medicine. All clinical rotations are located within 80 miles of UT’s campus. The University of Tampa’s cutting-edge MS in Exercise and Nutrition Science bridges the gap between laboratory science and practical application. Through a rigorous program combining hands-on training, classroom learning, and research with internationally known faculty, students are prepared to excel as practitioners or pursue doctoral studies. Topics of study include sports nutrition, strength training, physiology and energetics of exercise, sports supplements, ergonomic aids, and exercise laboratory techniques. UT’s extensive industry connections facilitate internship opportunities with professional sports teams, top nutrition companies, and athletic performance experts. The program offers flexible scheduling and can be completed in as little as a year. Graduates are eligible to take the Certified Sports Nutritionist and Certified Strength and Conditioning Specialist exams. UT’s CCNE-accredited graduate Nursing program prepares advanced-practice nurses to serve as primary care providers. Designed for licensed registered nurses, the MSN program offers Family Nurse Practitioner and Adult/Gerontology Nurse Practitioner concentrations. The in-depth curriculum emphasizes clinical experience, critical thinking, and leadership. UT maintains formal affiliations with more than 120 clinical agencies and practices, providing students with expanded education experiences and broad clinical exposure. Students also benefit from individualized attention from faculty and close interactions with their peers. UT’s online Doctor of Nursing Practice (DNP) is designed for advanced-practice registered nurses living in Florida. The program’s online format, with only three required visits to campus, allows students to continue their full-time careers in their clinical practice. Advanced-level topics of studyinclude clinical epidemiology, health care management, genomics, research translation, and more. UT’s MS in Instructional Design andTechnology prepares students to excel in the growing field of learning and human performance. 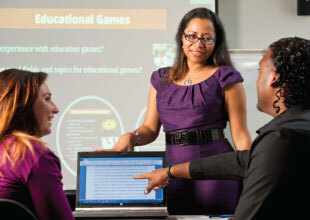 The innovative curriculum couples hands-on, technology-based course work with theories of education. Students come from a broad array of backgrounds, including education, management, psychology, business, marketing, andcommunications. They learn to develop effective cross-media curricula for diverse audiences and are prepared to practice in numerous settings, including industry, K-12 schools, higher education, government, and the military. The program, which can be completed in as little as a year, emphasizes technology in education, theories of learning and cognition, multimedia design and development, and open learning environments. UT offers two MEd programs for instructors and administrators. The MEdin Curriculum and Instruction is designed for teachers seeking to enhance their classroom and leadership skills and advance their careers. The program emphasizes curriculum theory, pedagogy and innovation in education, social dimensions of learning, instructional design, leadership, research, advocacy, and politics. The MEd in Educational Leadership is intended for educators with at least three years of classroom teaching experience whowish to pursue an advanced role in school administration. The curriculum is designed around the goals and state standards of principal leadership. Both programs may be completed in as little as one year and are structured around a full-time teacher’s schedule. UT’s new MS in Criminology and Criminal Justice prepares students for practitioner and management careers in the field of criminal justice and public safety. Students gain a strong theoretical foundation along with the research and statistical skills to design and evaluate effective programs and policies. A thesis option is offered for those who wish to pursue future doctoral studies. UT’s low-residency MFA in Creative Writing offers small classes and one-on-one mentoring to help students gain a greater command of the writer’s craft and a deeper understanding of the transformative power of the literary arts. Students may choose to focus onfiction, nonfiction, or poetry. They attend five-day working residencies on campus where they participate in classes, workshops, and special events with visiting writers, editors, agents, screenwriters, songwriters, and even visual artists. Each residency period is followed by a semester-long one-on-one tutorial with a faculty mentor focused on the student’s written work.